Delete any suspicious e-mail. Messages from unverified sources or from known sources that offer deals that sound too good to be true are most likely malicious (see figure 3). If in doubt, contact the alleged source by phone or by using a known, public e-mail address to verify the message’s authenticity. 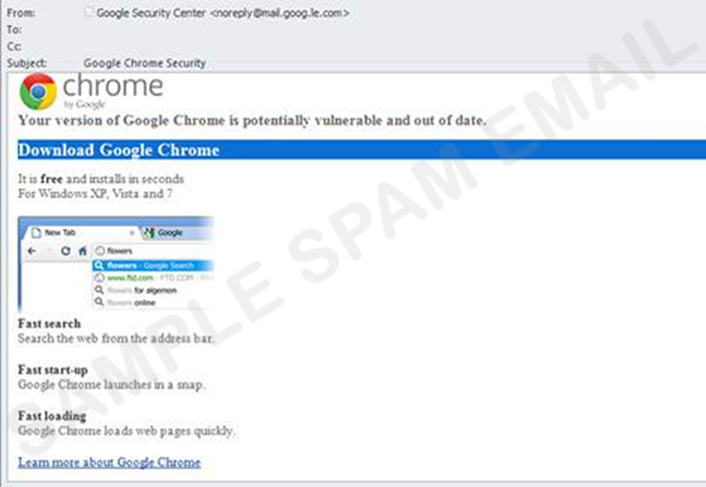 Avoid clicking on unverified e-mail links or attachments. 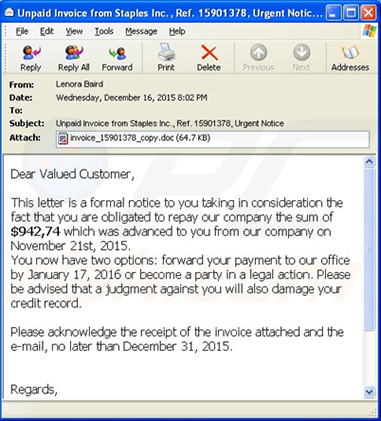 Suspicious links might carry ransomware (such as the CryptoLocker Trojan). 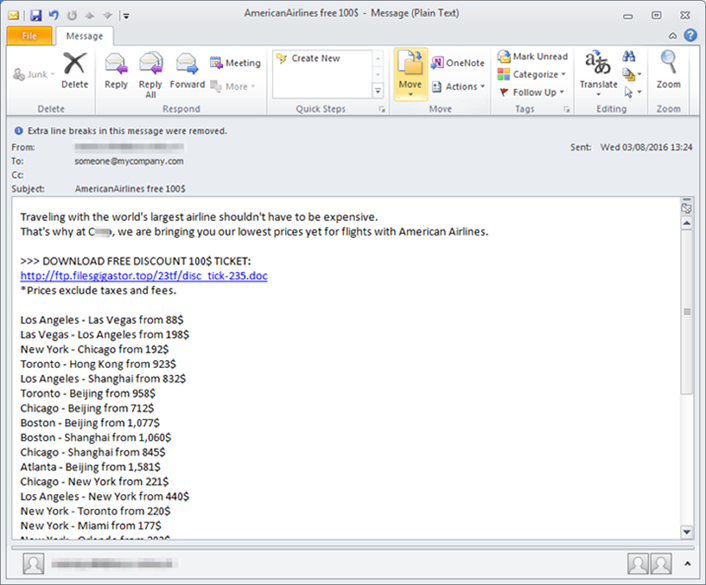 Use e-mail filtering options whenever possible. E-mail or spam filtering can stop a malicious message from reaching your inbox. Update all devices, software, and plug-ins on a regular basis. Check for operating system, software, and plug-in updates often — or, if possible, set up automatic updates — to minimize the likelihood of someone holding your computer or files for ransom. Back up your files. 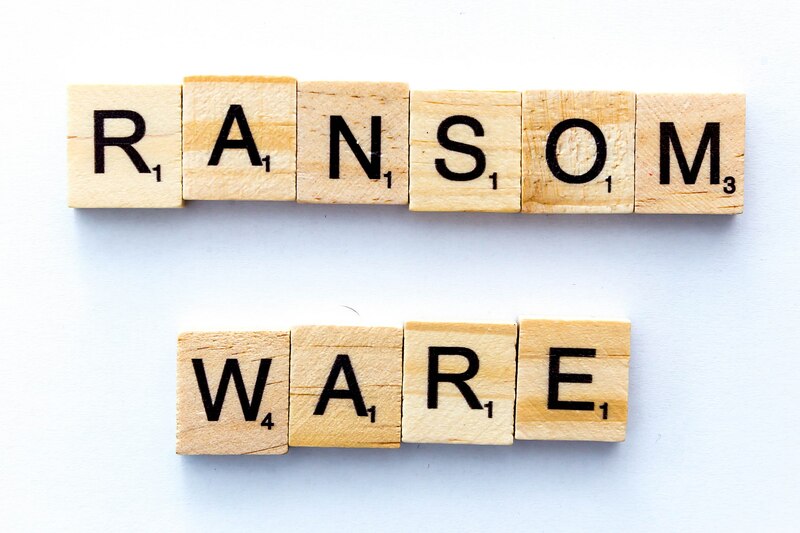 Back up the files on your computer, laptop, or mobile devices frequently so you don’t have to pay the ransom to access locked files.